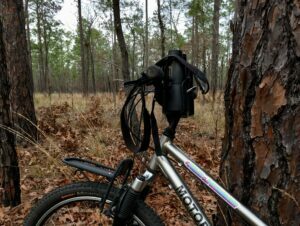 Recently we talked about how a bike can take you to amazing places for birding, and bringing binoculars along for the journey can help you get up close visually with your feathered friends. Even when riding in the city, I find plenty of opportunities to stop and appreciate the natural world around me and having my binocs on board makes the experience all the more enjoyable! 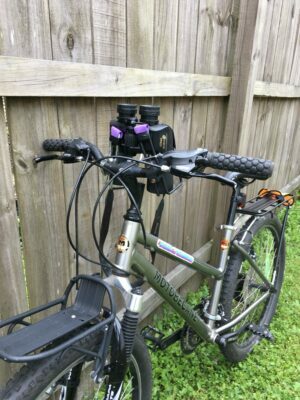 When I have a PorterPack on board my EdgeRunner, I’ll just keep my binocs in there for easy access but sometimes I’m out on my Leap or trail bike and don’t have the benefit of a roomy front cargo bag. 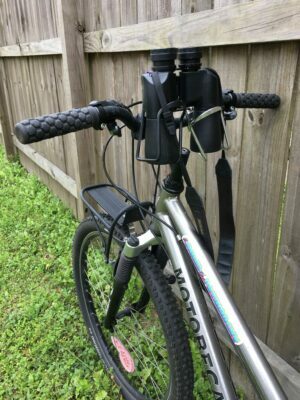 For those situations, I use to carry my binocs strapped across my chest while riding but being that most of those rides are on trails, I found this cumbersome and annoying but I worked with what I had. 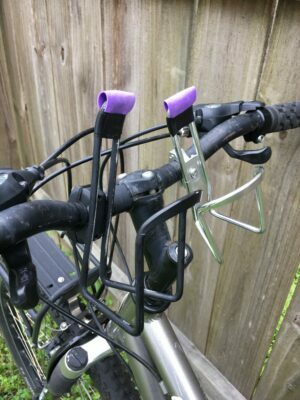 Recently I had an a-ha moment and the super cheap and easy DIY handlebar binocular holders were born! 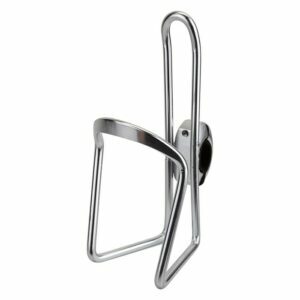 All this holder is is two handlebar mount bottle cages purchased from local bike shops. Sunlite brand is a readily available one and those are around $7 each. I just used the bottle cages I had on hand so they aren’t a perfect match aesthetically but they worked together like a dream to hold my binoculars. 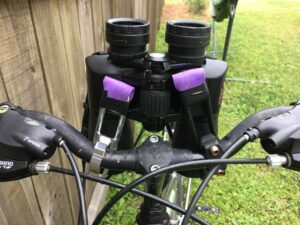 To make sure these were installed in a way that made carrying and removing my binocs easy, I loosely installed them both on my handlebars in roughly the right position. I then set my binocs to be spaced to where I like them and then set them in the bottle cages. I positioned the cages to fit the shape of my binocs then tightened them down. Because of my specific binocs, I found that the tops of the cages created a rattle on a metal part of the binocs bodies when riding so I padded those areas with bar tape and the rattle is now gone. 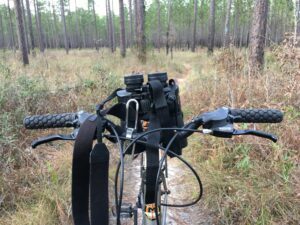 My binocs are a pretty snug fit in the cages but I use a back up strap that I cinch down tight to secure them in place when not it use so they didn’t go flying off my bike over a big bump. I was so glad I brought these on a recent ride in to the national forest. 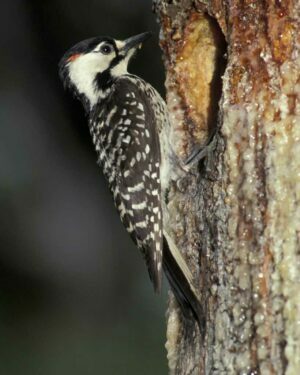 I spotted a flock of 4 endangered Red-Cockaded Woodepeckers which I was only able to positively ID because I had my binocs! These birds are a keystone species in the local pine flats and it was so encouraging to see that I was sharing the trail with a happy flock on such a beautiful day. Happy trails and happy birding, friends!